Perlotto is a minimal wrapper around Google Music and Youtube services that turnes them into real platers but does not add tons of crap on top. So, what&apos;s inside? My favorite music service is not supported! What can I do? Adding new music service ranges from trivial to somewhat complicated in case this service works with external plugins (like spotify). 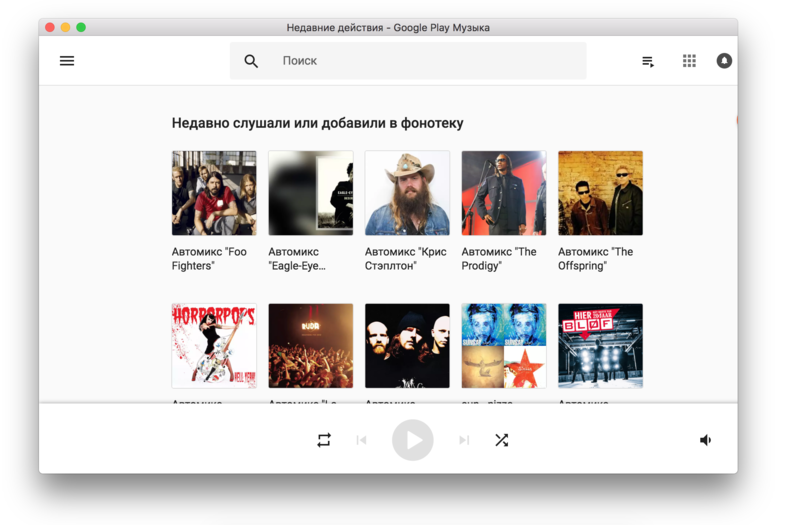 Nevertheless, Google music implementation can serve as a boilerplate. This is playerLoadedp function in inject.js script. This is isPlaying function in inject.js script. How to get information about current song. This is trackInfo function in inject.js script. Please note that this information is only required for last.fm stuff but who knows if we need it for something else, right? And of course you need to be able to make your service work inside Perlotto app. Whenever you encounter any feel free to raise issues in bugtracker or, what&apos;s better, to solve them and send pull requests. MIT, except app icon, which was just found on iconfinder. If you are the owner and don&apos;t want it to be there, please contact me.